Only a few months ago was I able to confirm the suspected connection of the descendants of Moses Yeruslavitz, and I explained that connection in the documentation of the Yeruslavitz family history. Because of this write-up, I was contacted by Barbara, a descendant of Fanny Hayes Yeruslavitz’s husband’s uncle, Frank Disman. Barbara lives not far from me, so we got together today to exchange stories, and she was able to provide a good amount of information as we talked about the importance of having family. She offered some old photographs of Fanny, who was known to those close to her as Fan. Barbara remembers Fan as a warm person. Thanks to the work by dedicated volunteers — a community in which I don’t have the linguistic experience to participate — remote vital records, like births, marriages, and deaths, are newly available online. Volunteers traveled to Romania (or coordinated with locals in Eastern Europe) to retrieve, photograph, transcribe, and translate documents found in the national and city archives. Over the summer, these records were added to databases connected to the JewishGen website, the home of the primary collection of databases for worldwide Jewish genealogical research. Thanks particularly to the Romanian Special Interest Group (ROM-SIG) project coordinator, Bob Wascou. And it looks like I’ve had some personal success with the updated records. I’ve discovered what appears to be a marriage record for my second great grandparents on my direct paternal line, Moses Landes and Bertha Brauna Yeruslavitz. The information in the record doesn’t precisely match existing information I have. Over the last year of my genealogy research, I’ve come to the conclusion that there are going to be times when one piece of information conflicts with another piece of information. I have to make judgment calls frequently not only to determine whether the newly-found record pertains to the individuals I believe it does, but to determine which might be more accurate. The only information I truly have 100% confidence in is information pertaining to myself; every other piece of data carries at least some level of doubt. There are some problems with this marriage record. The groom and bride names are not accurate compared to my knowledge. Moses Landes is listed as Moisi Lande. Moses and Moisi are both common versions of the name משה from biblical Hebrew. Lande could just be a misinterepretation of handwriting on the actual record, or it could be the actual surname used at the time. The bride is listed as Brana Serislavitz, and I’d be willing to wager that the handwritten record starts the name with a J, and this is just a misreading. On Moses’s death certificate, his mother’s name is listed as Pauline Leon. I’ve seen Pauline as a frequent replacement for Pearl (or Perl or Berl), and Leon, which I thought might have been Moses’s mother’s surname, might be Leah (Leea), part of her given name. The bride’s parents are listed as Meer and Eidil. The only information I had previously for her parents were too conflicted to prove worthwhile; this may be the best clue I have so far. Eidil could very well be Edith Yeruslavitz that traveled to Canada with the family but disappeared soon after immigration. Edith’s birth year would be 1842 according to the passenger manifest, and with Bertha’s birth year described below, it’s possible that the Edith who traveled to North America is the Eidil listed on this record. The name Meer matches Bertha Brauna’s father’s Hebrew name on her headstone. The dates don’t match. My records indicate Moses was born in December 1852 (or less likely, 1854). The new record indicates he was born in 1845, which would have made him 81 at the time of his death. My records indicate Bertha Brauna was born in 1860; the marriage record indicates she was born in 1857 and was 18 years old. Despite all of the discrepancies, I’m leaning strongly towards including this. The names, location, and marriage date (not long before the birth of their first child) give me enough confidence that this record represents my second great grandparents. It helps to continue checking resources that receive occasional updates to the database. And if you can contribute to projects that endeavor to retrieve mostly inaccessible genealogical records and make them available to the world, particularly in support of a non-profit organization like JewishGen, do so. Over the next few hours, I’ll be updating my tree on Ancestry.com to include the new details. 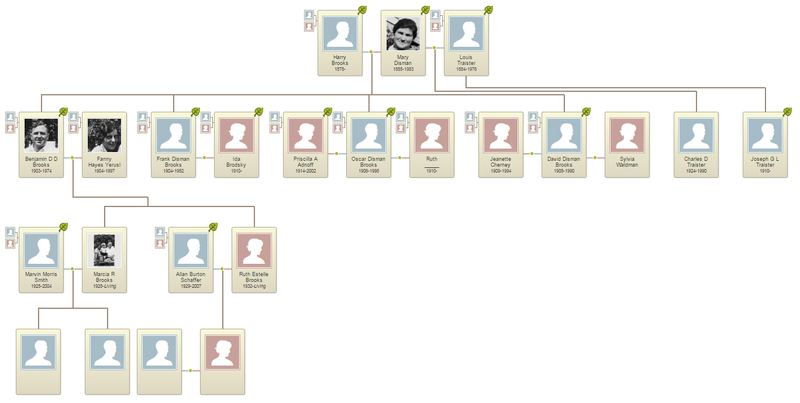 It might take longer for me to update the local, free copy of my family tree on landesfamilytree.com. In the last month, Ancestry.com has made available to the public lists of passengers departing from United Kingdom’s shores between 1890 and 1960. The information was available to the public previously, but only through The National Archives in Surrey, England, and not online in any format. The records are now fully indexed. My first search of this database revealed great results. I immediately found departure documentation of my second great grandparents, Moses Landes and Bertha (Brauna) Yeruslavitz Landes, on the ship S.S. Vancouver. The couple, born in Romania, traveled from Liverpool to Montréal, and later settled in New York City. The record shows that Moses and Bertha traveled with two companions. The first looks like it may be Sam Landes, though this document indicates the traveler is female, with an unreadable age (indexed as 22). The second is Edith Yeruslavitz, a housekeeper, age 58. Could this be Bertha’s mother? Or perhaps her aunt? Or (or and) maybe the mother of Martin Landes’s wife Pearl Yeruslavitz Landes. She is listed as married, so my assumption is that she married into the Yeruslavitz family, and is thus unlikely to be Bertha’s sister. The departure date on the record is incorrectly listed on Ancestry.com as 30 April 1900; it’s actually 30 August 1900. With this information, I was able to browse the Library and Archives Canada collection of immigration records, and I found the corresponding arrival records on 9 September 1900. The scan isn’t at a very high resolution, but the only illegible piece of information is the street address of the Landes family’s destination. This record, when compared to the United Kingdom departure list, provides a different age for the companion Sam Landes, listed here as a farmer rather than a servant; Edith Yeruslavitz is listed as a servant rather than a housekeeper. The group’s destination is Moses Landes’s son, living on a street I can’t read. I’d like to tie Sam Landes and Edith Yeruslavitz into the family, but I don’t know exactly where they fit yet. I have found a Samuel Landes in New York, and although records for this Samuel Landes indicate he was also born in Romania, his birth year is not the same as what is listed in either of these documents and his date of immigration would have been prior to this travel in 1900. Finding immigration records further back for Moses and Bertha might prove to be impossible. If they traveled on foot from Romania to England, there’s unlikely to be any kind of documentation, available online or not, of their travels. In researching the Landes family in Montréal and Detroit, I came across birth records for the children of Martin Landes — my great grand uncle — and his wife, Paulina (Pearl) Jaruslavitz. The records are handwritten, and they are contained in the “Drouin Collection” on Ancestry.com. The discoveries have helped me support the written history that passed from Mortimer (Morty) Landes to my father. Like almost all discoveries, the birth records introduced more questions. I discovered a birth record for Lillie Landes, born to Martin Landes and Paulina Jaruslavitch on 7 May 1910 in Montréal. I was unaware of Lillie previously, and have not found any further records. You can see the handwritten acknowledgment of Lillie’s birth here. During my search, I uncovered another birth record for a son of Martin and Paulina in Montréal. Through the work of volunteers, this record was indexed under the name “Track Landes.” Volunteers take the time to interpret handwritten records in order to make them searchable, and these volunteers should be able to make the best judgments when handwriting can be confusing, so I trusted this index was accurate. “Track” did not sound like it was a name that someone in my family was likely to have, however. I didn’t recognize it as a name, at all, until I remembered that a certain former governor of Alaska had a son named Track. Although unlikely, I decided to take the index for its face value and add an entry to my family tree for Track Landes. His birth date was 1 Jun 1903, close to his would-be brother, Irwin or Irving, who was born around 1904 according to the census information I had found by that point. My research continued in different directions, and I didn’t come back to the mystery of Track and Lillie Landes until the other day. With fresh eyes, I took another look at the handwritten birth record for “Track” Landes and decided it just didn’t look right. The handwriting throughout the record is consistent, and capital “T” is written consistently. It does not look like what is included in the above graphic. The first letter of the name, when compared to other words more easily identified, is certainly a capital “I.” The loop at the the top right of the letter gives its identity away. It looks like the name as written in this birth record is most likely Isack, not Track. The spelling is non-standard, but that isn’t surprising, considering misspelled words and names are frequent throughout the records from this synagogue. At first, I tried to see if I could somehow justify the handwriting as saying “Irwen,” but I’m relatively sure it was written as Isack. Isaac could be an alternative name for Irwin. Probably most famously, Israel Isidore Baline adopted the Americanized/Anglicized name Irving Berlin; it’s not unlikely that Irwin and Irving were nicknames for Isaac. As a result, I’ve removed Track Landes from the family tree and applied this birth record to Irwin Landes. I have found travel records for Irwin between Canada and the United States, and I’ll still continue looking for more evidence of Irwin’s existence. The mystery of Lillie Landes, however, continues. It will be important for me to keep in mind that the indices that rely on people’s interpretation of handwriting can often be incorrect. Here are more handwriting samples that identify the capital “I” and capital “T.” The “I” seems to be drawn with one stroke, while the “T” seems to be drawn with two. I’ve been writing about the last three death certificates I’ve received in decreasing order of confidence. The latest as of today is the death certificate registered by the Department of Health of The City of New York for Bertha Landes. Bertha, whose maiden name is Jereslawitz according to the marriage certificate for her son Joseph Landes and Sadie Lustig, died on 26 November 1927 at Roosevelt Hospital in Manhattan, where she had been for 17 days, and the doctors did not identify a cause of death. Let’s look at each fact and determine whether it helps or hurts the likelihood that this death certificate pertains to my second great grandmother. Female, white, widowed. Check, check, and check. Three points. Age 68. This puts her birth year at around 1859. The 1901 Census of Canada puts her birth date around 1857. The 1905 New York Census would place Bertha’s birthyear at about 1860. I have not discovered a 1910 U.S. Census record for her or her husband. Her birthyear according to the 1920 U.S. Census would be 1860. One point for the birth year. Occupation: housewife. This matches all other documentation for Bertha, but I’m not awarding any points for this being correct. Birthplace: Romania. It’s well-documented that the Landes family immigrated from Romania to the United States and Canada. Census records all list Romania as the birthplace for Landeses who were not born here. One point. Has been living in the Untied States and New York for 28 years. Despite being listed in the Canadian census as living in Montréal in 1901, later census records indicate her family considers themselves to have immigrated to the United States in 1899 or 1900. I’ll give half a point for this only because it’s somewhat confusing when they were living in Canada and when they were living in the United States. Former or usual address: 761 Trinity Avenue. This is in the Bronx, and I have no evidence of any of the Landes family living at this address at any time. Without a 1925 New York Census record for Moses, Bertha, and their son Charles, I looked at 761 Trinity Avenue in that database, browsing the images. The Landes family was not enumerated at that address in 1925. With this curiosity, I’ll take away one point. Place of burial: Mount Carmel Cemetery. Other members of the Landes family are buried at this cemetery: Fannie Landes (Paltiel) Goldenberg and her second husband Adolph (although there’s a possibility this grave is a different Adolph and Fannie Goldenberg with a Romanian background), Joseph Landes and his wife Sadie, and Charles Landes and his wife Clara. According to his death certificate, Bertha’s husband Moses is buried there, as well. Neither Moses nor Bertha show up in the Mount Carmel Cemetery interment search. A visit in person is required to verify the burial location. I’ll award a point for this burial information. 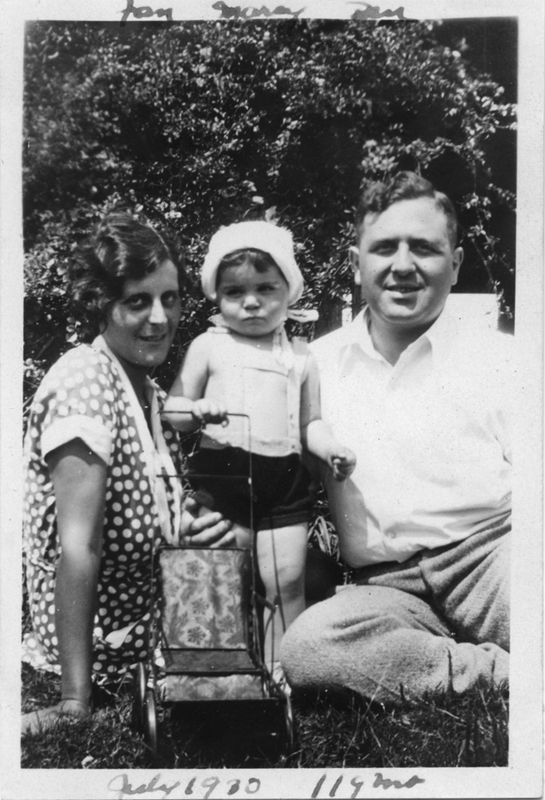 Names of parents: Martin Goldenberg and Bertha Goldenberg. First of all, it’s unlikely that Bertha Jereslawitz Landes’s father has a different last name than her own maiden name. Secondly, it also seems unlikely that the daughter shared the same given name as the mother. Finally, the last name matches the last name of Fannie Landes’s second husband, Adolph. I can’t give any points for this information, because no other information I have proves or disproves it, and because Bertha’s father’s last name of Goldenberg doesn’t make any sense at the moment. Like the other death certificates I’ve received recently, perhaps this is just the case of bad information. According to the second page of the death certificate, the undertaker was employed by “Mr. Landes,” Bertha’s son. I expect it would be Charles, who lived with Moses and Bertha the longest, but the first name is not specified. Of Bertha’s other two sons, Joseph died two years prior and Martin was likely living in Detroit at the time. Perhaps the informer was Bertha’s son-in-law, Adolph Goldenberg. If Adolph was the person providing this information, perhaps he gave the names of his own parents when asked, explaining why Martin Goldenberg and Bertha Goldenberg were listed as the deceased’s parents. The death certificate’s score is five and a half points. The points don’t mean anything, so they don’t determine whether this certificate represents the Bertha Landes in my family. There are other Bertha Landeses living in New York, but not at the right time or at the right age, according to census record indexes. I will accept this into the family tree, but I won’t add Bertha’s parents as listed on the certificate. The next marriage certificate arrived recently from the New York City Department of Records. It’s convenient having most of my recent ancestors residing in New York City — but ordering records is not cheap. With some time to spare, I might visit the department in person to discover and copy these items personally, but at the moment, time is at a premium for me. I prefer the convenience of online ordering. At some point, research will not be possible without visiting locations in person, so I’m taking advantage of convenience for as long as possible. The latest document to arrive is the marriage certificate for my paternal great grandparents, Joseph Landes and Sadie Lustig. Joseph married Sadie when he was 28 and she was 18 according to the document, but other sources put Joseph’s age at 30 at the time of the marriage in 1909. The date of birth I have comes from a World War I draft registration card, and this is the only documentation I have of Joseph’s full birth date. Census records list Joseph’s age inconsistently. 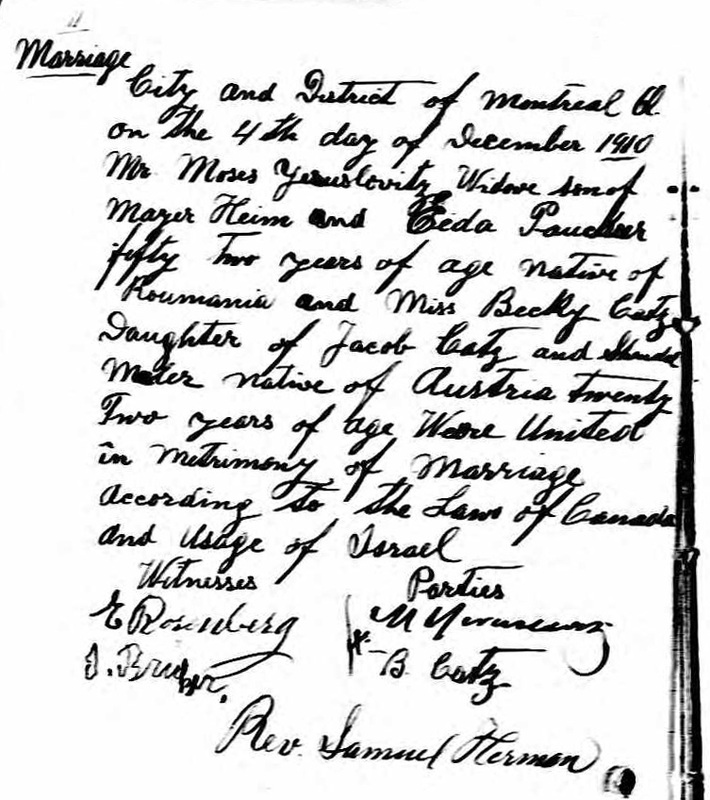 The marriage certificate offers Joseph’s parents’ names: Moses Landes and Bertha Jereslawitz. This is the first indication I’ve had of Bertha’s maiden name. I should also point out that oral family history had previously indicated that Moses’s wife’s name was Brenda, but I’ve found no evidence of the name Brenda so far. All records, and I have a high level of confidence that the records that I’ve found do pertain to my family, list my second great grandmother’s name as Bertha. Incidentally, I have also discovered a related record indicating Moses’s other son Martin married Pauline Jeruslavitz. The last names are close enough, and I suspect that Bertha and Pauline were related somehow before marrying their respective Landeses, but I have no information yet regarding that relationship. The Landes/Lustig marriage certificate provides names for Sadie’s parents: Rübin Lustig and Lisa Strümwald. My other information, namely Federal Census records, identify Sadie’s father as Joseph Lustig, so there seems to be conflicting information. This is the first time Sadie’s mother’s name is listed as Lisa; in all other records, the name is spelled Eliza, Louisa, or Louesa. I’m relatively confident that Lisa is either another nickname variation or a misspelling. Also, in all other cases, Eliza’s last name is spelled Sturmwald. Oral history indicates the Sturmwalds originated in Germany, and if this the case, Sturmwald — with or without the umlaut — would most likely be the correct spelling. Stürmwald translates to “raging forest,” and that’s a relatively exciting surname. With every answer, more questions.